Last August, the travel site revealed a list of several countries, cities, towns and specific regions that are the best option for tourists in their trips, activities and local experiences, according to the average destination classifications and the evaluations of previous experiences of users. 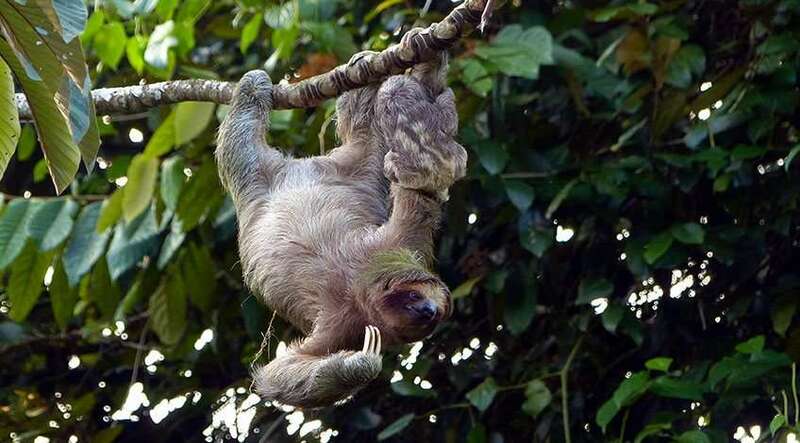 The Costa Rican region occupied the number 1 spot on the "destination" list, followed by Hawaii which has Kauai as the second best destination, while Tromso in Norway ranks third and Rotorua in New Zealand is fourth. Ireland and Scotland, meanwhile, ranked fourth and fifth place respectively in the list of countries, which also led Costa Rica. The list, which was composed of ten sites, was based on local activities and experiences offered by each place and on the evaluations made by tourists. Rafting, lazy watching and canyoning in the Lost Canyon, were the most visited activities by travelers in the Costa Rican territory. Adventure tourism plus hot springs, made this destination was chosen as the best in the world. 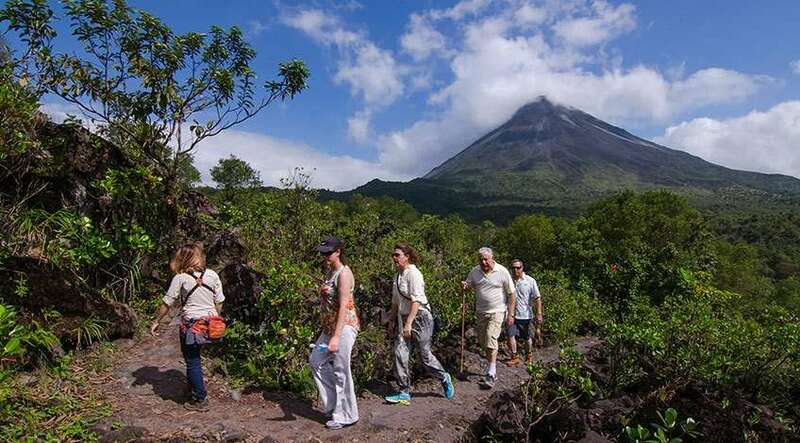 More than half of the tourists who enter the country arrive in La Fortuna, according to information from the Costa Rican Tourism Institute. Only last year, visitation exceeded one million tourists in the district. In the list made by TripAdvisor stand out in the first ten positions, these destinations. La Fortuna of San Carlos, Costa Rica. The best experiences here include: rafting, watching sloths, and canyoning in the Lost Canyon. Excursion of history and ecology in the Reserve of the Cave of Makauwahi, panoramic flights and koloa zipline. Excursions to the fjords and northern lights. Tour of three outstanding days. Private Tour of First Impressions. Small group kayak and snorkel tour. Walk through the cloud forest. Parasailing on the Bay of the Islands. Bicycle tour through the Mekong Delta. Tour of the Loch Lomond and Trossachs National Park. Wine and food tasting tour of Margaret River. Electric bike tour of Lisbon. Snorkeling excursion in Kona with dolphins and reefs. But, what can you find exactly at La Fortuna Costa Rica? In the Northern region of the country you can find two famous locations of Costa Rica: Arenal and La Fortuna. Here, the Arenal Volcano can be found and this is just amazing, as it is one of the most well-known volcanoes in Costa Rica. Due to the climate it is very likely that clouds will hidden the top of the volcano making it hard to see its complete form, but if you stay in the region for a couple of days exploring and enjoying some other attractions you will surely be able to get some magnificent volcano views and, why not, some impressive photographs of your vacations in Costa Rica. The Arenal Volcano is a perfect-shaped conic volcano and it is visible from almost everywhere in the area, however if you want a really good view, you must stay at any of the lodges that are located overlooking the volcano and wake up early in the morning as the clouds tend to move towards the volcano after sunrise. The Arenal Volcano National Park is located in north-western Costa Rica, approximately 94 miles / 150 Km or 3.30 hrs. northwest of the capital city of the country: San Jose Costa Rica. This place is located in Alajuela province and the district of La Fortuna. This can be considered the same distance and driving time from the Juan Santamaria International Airport (SJO). This amazing area is located at 91 miles / 145 Km or 3 hours driving from the Daniel Oduber International Airport (LIR) in Liberia Costa Rica, in the prestigious province of Guanacaste. This makes it the closest airport to Arenal and La Fortuna. To get there you must require 40 additional minutes if departing from the Costa Rica beaches of Papagayo Peninsula or one additional hour from beaches like Flamingo, Conchal or Tamarindo. La Fortuna town can be found just 4 miles (6.4 Km) from the Arenal Volcano. It is located at approximately 16 miles / 26 km from Ciudad Quesada. The place itself is small, with different shops, restaurants and bars, and it is where most locals live and work. La Fortuna provides visitors an easy access with great paved roads to the Arenal Volcano area and its facilities, hotels and tours. The weather in Arenal Volcano Costa Rica tends to be very changeable through the day. Both the Atlantic and Pacific oceans influence the local temperature (having regular oscillations between 21°C and 28°C) and producing annual rainfalls (with averages between 3,500 mm to 5,000 mm). The average temperature in La Fortuna through the year is of 75°F (22°C), so you can take this in consideration when deciding to visit the area. Experiential and authentic experiences that involve health and well-being are the new motivations that tourists look for when choosing their next holiday destination. That desire among travelers usually includes a personal renewal of body, soul and spirit. 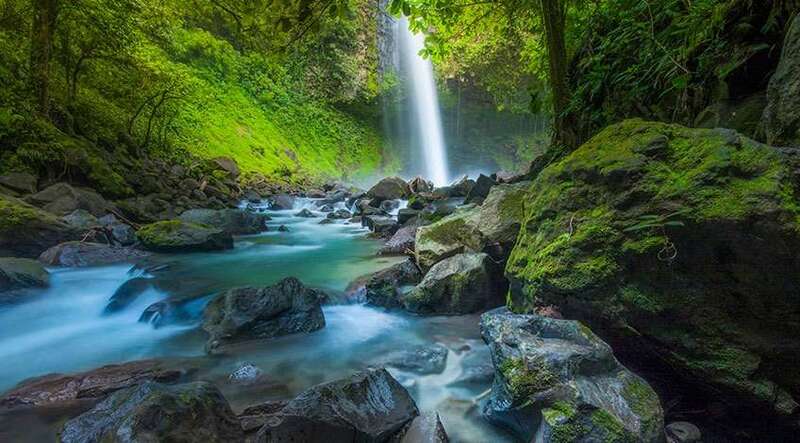 La Fortuna de San Carlos in Costa Rica is a natural paradise where hot water tourism has been gaining ground, leading it to become the first Central American destination in this category. This reach represents a growth of the destination in thermal tourism, attracting more visitors who opt for innovative services designed to combat stress and fatigue, in harmony with the natural wealth and the environment that surrounds the Northern region of Costa Rica. 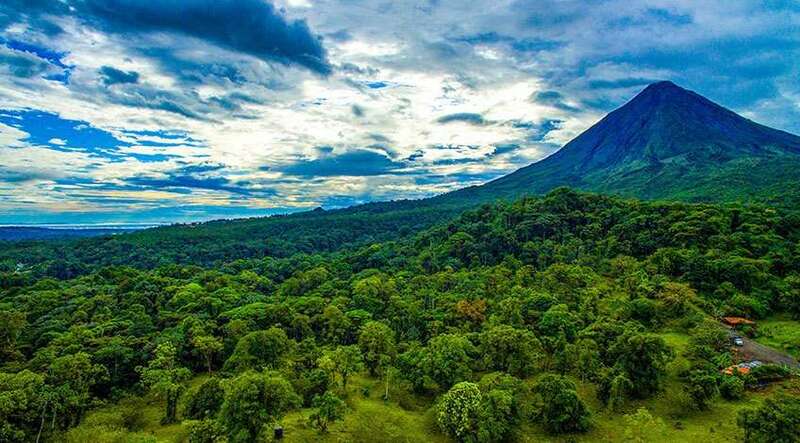 In this way, La Fortuna competes in the world, where the visitor finds variety of thermal waters, forest, scenic view of the Arenal Volcano and variety of adventure activities; all in one place, just for that detoxification of the daily hustle and bustle. Tourism entrepreneurs in the area agree that human quality and service list the factors that lead La Fortuna to have this distinction worldwide. While it is true, the waters of La Fortuna have their own digital fingerprint, that is, the properties are different from each other, so each tourist spot in the area offers a unique product. For example, bathing in the waters of Tabacón Resort & Spa is not the same as in the waters of Baldi Hot Springs. Sodium, Potassium, Calcium, Magnesium, Chloride, Sulphate, Bicarbonate, Fluorine, Boron, NH3, Silicon Dioxide, are some of the minerals that make up the thermal waters. In some more specific cases, the concentration of this type of minerals is so balanced that some can be ingested. That is also a specific characteristic that makes this thermal waters very special among other tourist destinations around the world. Each thermal point of La Fortuna has its own analysis, which can be requested by the visitor. Crystalline, light, dark, of different colors (blue, green, brown, etc. ), heavy or light in minerals, is the variety that the destination offers; being the majority without odor, with the exception of some that contribute high percentage of sulfur. There is a certain magic in these waters that cause the body to disconnect, be carried away by the warmth and surrender to such a feeling of well-being. By submerging our body, we increase body temperature, which helps to eliminate germs and viruses that cause diseases, as well as to dissolve and eliminate toxins. That is, they are not just generators of pleasure. Research carried out by the Pharmaceutical Research Institute of the UCR, found in the thermal mud of the Arenal Volcano cleansing properties that have higher absorption capacity, which allows to absorb more toxins and contaminants from the skin. Its volcanic origin, provide unique properties and a high concentration of suitable minerals as a therapeutic and aesthetic resource. So, if wellness in Costa Rica is what you are looking for your next holidays, then consider Arenal Costa Rica as an excellent option that will let you enjoy of the wonders of a first class destination… and the best voted destination to travel in 2018. 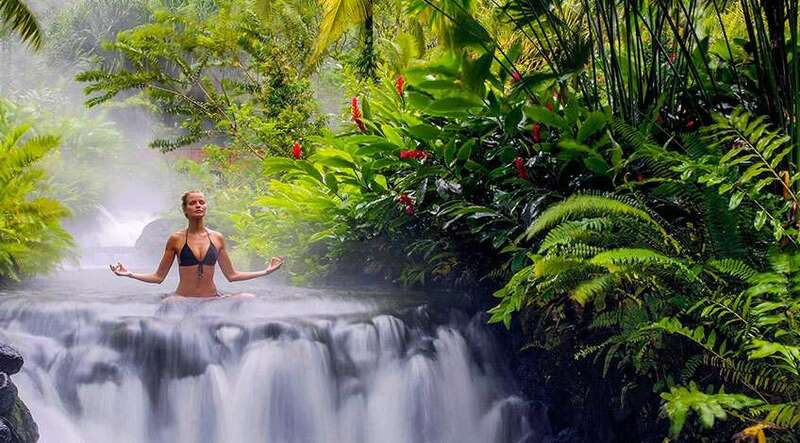 Following the wellness tourism line, you also must know that the destination was the scene of the 1st International Congress of Wellness and Spa in Costa Rica. This congress took place under the slogan "Live more and better, nature as a guide", from August 31 to September 2 of this year. This was an initiative that sought to consolidate this niche within the national tourism offer and the training of the sector at a regional level, from an area recognized worldwide for its thermal waters, as a destination for well-being. The congress brought together leaders and international experts from the wellness sector to talk about challenges and opportunities, learn more about global trends and shape positively the global welfare economy. As mentioned before, La Fortuna has international spas, with varied infrastructure, treatments, thermal products unique in the world, with highly qualified staff and immersed in the greenery of its landscapes in the middle of the Arenal Volcano, which go further beyond that tourists live an experience of feeling, but the renewal of body, soul and spirit. And that is what tourists are looking forward when visiting this destination. This place that is destined to be the first thermal destination in Central America due to its natural richness, where we find in a radius of 20 square kilometers, has the strength of having up to 12 ways to be able to dig the hot water of the earth; rich in mineral components. In the case of La Fortuna spas, there is a very special sludge, cataloged as very beneficial for health, ratified by the University of Vigo, in Spain, as one of the main elements of development for the health and wellness sector of La Fortuna. This shows the world that the destination has top-level spas with good protocols; thus becoming an enhancer and benefit for the visitors. After all this, you may know now that this place cannot be ignored when deciding and planning your Costa Rica vacation packages. This destination, and the country in general terms, have a lot to offer you in order to give you the best vacation experiences and memories during your trip to Costa Rica. Please, if you decide to visit us soon, then contact us to assist you in a better way and help you plan your vacations.